In this video we will show you how to merge Word documents. In order to merge word files, open your document. For example you have a formula in your document. Now close your document. Open an empty Microsoft Word document. For example, type “10+10=”. Then, go to the “Insert” tab. 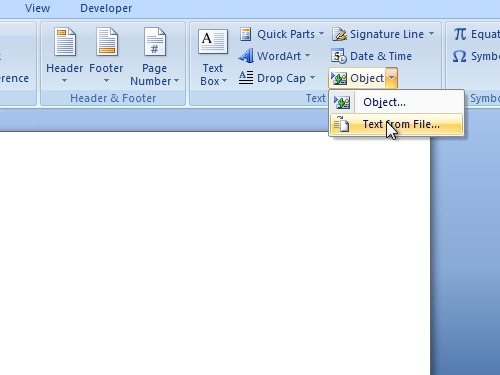 Click “Object” and choose “Text from File”. Select the file you previously opened and press “open”. Now you have merged your word documents.